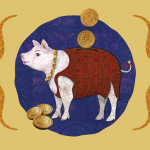 Home » Menstruation: How much do we bleed? Every month a woman that is menstruating uses some kind of method to handle her blood flow. We can see the blood going into the pad, into the tampon or menstrual cup and into the toilet basin. But have you ever wondered about the actual amount of blood which your body expels during your period? What’s a normal flow, heavy flow or light flow? And have you ever wondered if other mammals also have periods? Why do humans need menstrual products to catch the blood, ever heard of ‘Natural Menstruation’? Can you do something for yourself about a heavy flow? Here are some more facts about period blood. “Normal” can be a pretty difficult concept to handle and any deviation can make us feel “abnormal” and insecure about ourselves. This isn’t necessary. While it is important to pay attention to be healthy, each woman has a different body: short, tall, big pelvis, small pelvis, age, puberty, mother of three or progressing to menopause, on birth control or hormones or not, and… a different period! All such factors can have effect on the amount of period flow. Finally, what can be an issue for one woman can be absolutely normal for another woman. So let’s refer to the concept of “average” which includes the full range of menstruating woman and find the middle. Most women experience a blood flow between 10-80 ml, during 2 to 7 days and the average amount of blood that a woman’s body expels during her menstruation can be found to be 35 ml. That is about 2 – 3 tablespoons (of 14ml) or 6 teaspoons (of 5ml). While that is the average, women have given varying reports from just a spot to over two cups (540ml!) in one menstruation (1). So if you are somewhere within the range of 10-80 ml, you can probably feel yourself comfortably within the amount that most women bleed. If you feel unsure about your period you can consult a health practitioner. To learn more about heavy periods, check out this link. How much blood can a menstrual pad or tampon or cup hold? A fully soaked normal size pad or tampon holds a teaspoon (5ml) of liquid (for a particular product brand please refer to the product information). For a usual length of menstruation of 4 to 6 days and the average of 35 ml that makes about 6 sanitary products, while the truth probably is that we have the habit of changing more frequently due to reasons of spilling, showering and changing clothes, or feeling uncomfortable and simply ready for a change. We rarely wait until it is really fully soaked. 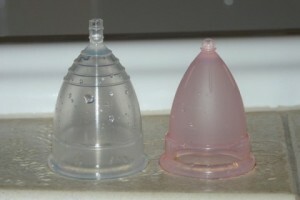 A menstrual cup holds about 25 ml, depending on the model and it is recommended to change every 6 to 12 hours. How can I figure out how much I actually bleed during my period? 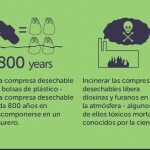 The possible methods for this are: measuring, weighing, chemical test. once you take it out. Even if the particular cup doesn’t, it is easy to take a teaspoon and just measure the number of teaspoons (5ml) through pouring the blood onto it. 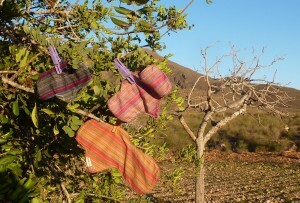 If you are using pads or tampons, measuring is a bit more tricky. You will have to estimate that one fully soaked, normal size sanitary product will hold about 5ml, (for a particular product brand please refer to the product information), add up all the products used while making your judgement paying attention to the number of items that you changed half full. You can also weigh the pads or tampons after use, add up the amount and then subtract the weight of the same unused products. Using this method, note that the number can also contain sweat as well as other body fluids, and then again might be altered through evaporation of fluids. 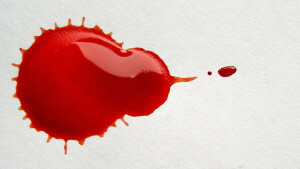 Dried blood weighs less than wet blood. And your results will be a weight rather than a liquid quantity. The most exact method is a chemical process. This is not practical to be applied at home, but can be used for lab testing and scientific studies (2). Do other mammals also have periods? The answer is ‘yes, but’. All female mammals that produce offspring with a placenta, build up a uterine lining (the endometrium) in the fertile phase of their cycle and dismantle it in the infertile phase. Some species have an ‘estrous cycle’, in which, if no conception takes place, the endometrium fluids are reabsorbed into the body (covert menstruation). Other species, like the human have a ‘menstrual cycle’, where the body expels the endometrium lining (overt menstruation). Primates, some bat species and elephants also experience overt menstruation. But, here’s an inspiring detail: Before menstruating, humans do in fact also reabsorb two-thirds of the liquid in the endometrium (3). Food for thought: If human beings actually do have the ability to reabsorb endometrial liquid, why do some women menstruate so much blood? Maybe there is something about human beings that can cause this? Could this possibly be a factor we can influence and reduce strong periods? Could we humans maybe also manage to live without menstrual products? Can I do anything about a heavy flow? In any case if you feel uncomfortable about the amount of your menstrual blood, you can refer to a health practitioner. While excess bleeding can be a sign for a health concern, in fact what you feel might be ‘a lot of blood’ might actually be alright. As mentioned above, every woman’s body is different and the amount of blood can also change throughout her menstruating years. There are some health practitioners who mention using hormonal birth control pills to regulate menstrual bleeding, while others point out that this should really be reserved for health-threatening blood loss conditions, and not for popular comfort. They point out the warning that ‘the pill’ in general is a possibly disturbing intervention into a woman’s natural hormonal system with potential health concerns. Although this is not a topic for detailed discussion in this article. However there are also more holistic possibilities to regulate a heavy menstrual flow. 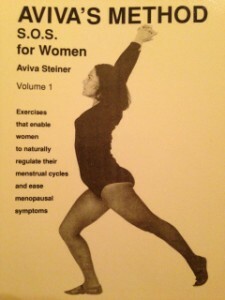 Physical exercise can support a healthy menstruation: Something you might be able to do to help yourself is practice the AVIVA Method, a set of exercises developed by Aviva Steiner with a positive effect on a variety of complaints of the female reproductive system including heavy menstrual bleeding. Coming back to the ‘food for thought’ above, two-thirds of endometrial liquid can reabsorbed into the body before menstruation, and this could possibly be a factor to influence and reduce strong periods. The AVIVA Method aims also at supporting that very reabsorption and practicing women have reported lighter periods. The movements are meant to stimulate pelvic blood and lymphatic fluid circulation throughout the month, counteract the vicious cycle of fluid stagnation and thus support reabsorption of the endometrium before the remaining parts are broken down and menstruation occurs. And there is in fact something specific about human beings: We are an upright walking species, which means that stagnant fluids are more likely to accumulate in the lower pelvis region. Healthy menstrual products can support a healthy menstruation: Along with the inspiration of above research which shows that body detox processes are important for a healthy menstruation and indicates a possible influence on the amount of period blood, this becomes further food for thought for your choice of menstrual management! In fact, we at Eco Femme as well as other cloth pad suppliers have been getting the matching feedback from women who report that after a couple of cycles their menstruation has become lighter and more pleasant with less blood and less cramping. It is possible that using a natural menstrual management product, meaning less exposure to harmful toxins, could be a self help if you are experiencing a heavy flow. You can help to protect your body from toxin exposure through the use of disposable menstrual products (read more here…). Besides taking care of our environment, if you are experiencing heavy periods, support your health and ‘Make the Switch’! Back to the food for thought: If human beings actually do have the ability to reabsorb endometrial liquid, could we humans maybe also manage to live without menstrual products? 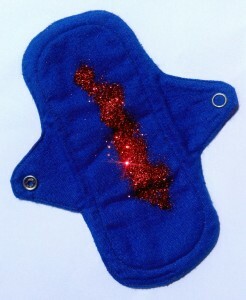 Have a look into our article about Natural Menstruation. (3) a) Ann Intern Med. 1982 Jun; 96(6 Pt 2):921–3. “Vaginal physiology during menstruation.” b) Strassmann BI (1996). “The evolution of endometrial cycles and menstruation”. The Quarterly Review of Biology. 71 (2): 181–220.doi:10.1086/419369. PMID 8693059. c) Emera D, Romero R, Wagner G (2011) The evolution of menstruation: A new model for genetic assimilation: Explaining molecular origins of maternal responses to fetal invasiveness. Bioessays 34(1):26-35. Nice content. Well written .Thanks.